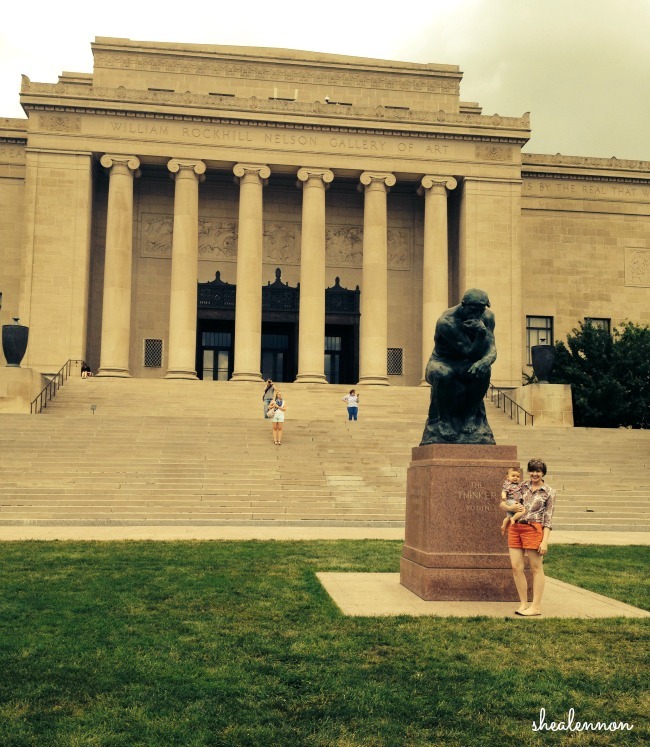 This summer we've been trying to take advantage of all that Kansas City has to offer. 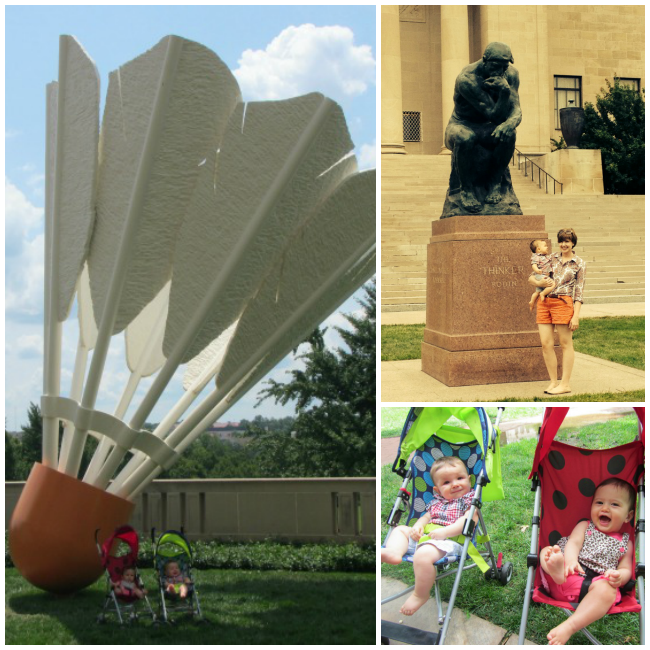 There are so many free, kid-friendly places to visit; Jona has been on quite a few Kansas City adventures, and he's not even one yet. Last weekend, Jona and I met up with my friend Becky and her precious little girl Madeline. We decided these babies needed a little culture in their lives so we took them to the Nelson Atkins Art Museum. We explored the gardens outside the museum, posed them for photos in front of the giant shuttlecocks, ate at the museum's cafe, and oh yeah, looked at some art too. 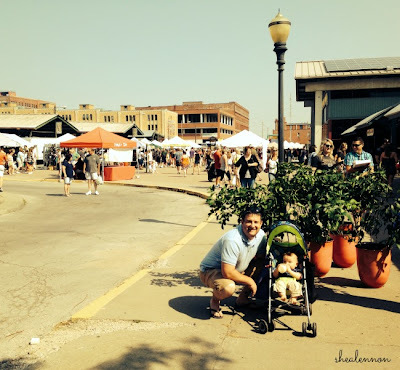 On Saturday morning, Aaron and I took Jona to the Kansas City farmer's market. The weather was surprisingly perfect, and the city market was unsurprisingly jam-packed. We lucked out on a close parking spot, strolled around for a while and picked up some fruits and vegetables to go with our meals for the week.